Andy Murray announced plans to retire in 2019 but will walk away feeling "fortunate" to have competed against some of the greatest tennis players of all time. 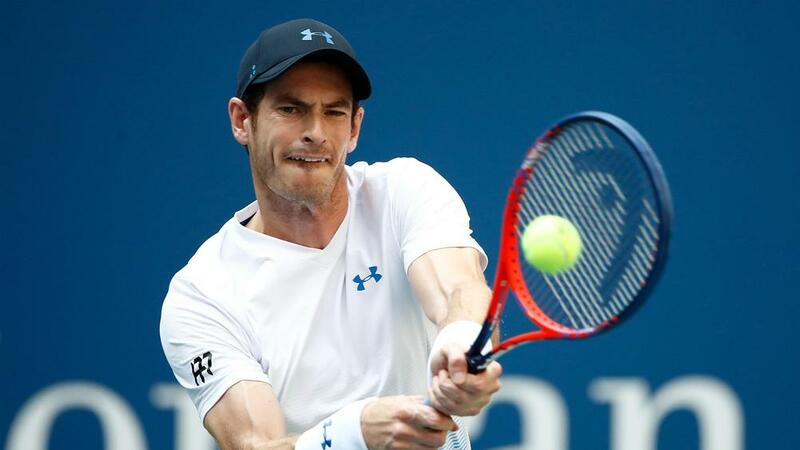 Former world number one Murray has claimed three grand slam titles and two Olympics golds - as well as leading Great Britain to Davis Cup glory - in a glittering career that is nearing an end due to a chronic hip injury. The 31-year-old held an emotional news conference in Melbourne on Friday at which he admitted the Australian Open could be his last tournament, bringing forward a farewell the Scot hoped would come at Wimbledon later in the year. Despite the tears and obvious heartache, Murray found time to reflect on his on-court battles with the likes of Roger Federer, Rafael Nadal and Novak Djokovic. He told the Australian Open's official website: "When I finish I can reflect a little bit more [but] I have been very fortunate to do this for my career. "I've loved travelling the world, although at times in the early part of my career I found certain parts challenging, stuff away from the court, but I've loved competing and playing in the biggest tennis tournaments in front of great crowds. "And I've been fortunate to have competed against the guys I have - some of the best players of all time. "I played against all of them many, many times in the biggest tournaments and managed to get a few wins against them along the way." Murray is a five-time finalist in Melbourne and will take on Roberto Bautista Agut in the first round next week knowing it could be his final appearance in Australia. It is a cruel twist of fate for a player who has always prided himself on his physical fitness but, as he explains, the injury is now affecting aspects of everyday life. "It's not just the matches, it's every day really. Pretty much every step I take I'm struggling, even with walking," he said. "Playing matches in some ways takes my mind off it because I'm concentrating on trying to win a match, competing, tactics and other things but it's tough because I know I am not capable of doing the stuff I used to do. So, I have to change the way I'm playing a little bit and lower my expectations. "When I do that I feel less pressure and less pressure for me is not good. I prefer to have the nerves and the pressure because that allows me to perform better." As for his Australian Open campaign, he added: "I don't have massively high expectations, I just want to enjoy playing here, maybe the last time I'm in Australia competing, so I want to try to enjoy it."